The surprise exit of Instagram's co-founders, Kevin Systrom and Mike Krieger, opens up big questions around who will lead the powerhouse app -- and what its future will be. Can Instagram keep up its torrid growth now that its co-founders are leaving Facebook? Big changes are coming at Instagram. The sudden resignation of Instagram's co-founders Kevin Systrom and Mike Krieger, who served as CEO and CTO, respectively, has opened up plenty of questions about who will lead the powerhouse photo app -- and what its future might hold. In a statement posted on Monday night, Systrom announced his and Krieger's resignations from the company, writing that "we're planning on leaving Instagram to explore our curiosity and creativity again." The two co-founded Instagram in 2010, and sold it to Facebook (FB - Get Report) two years later for $1 billion. The app has evolved into a powerhouse for Facebook, surpassing one billion users in June. Reached for comment, neither Instagram nor Facebook would comment on who might step in to lead Instagram now, only reiterating a statement given previously by CEO Mark Zuckerberg: "I wish them all the best and I'm looking forward to seeing what they build next," he said. Reports have indicated that Systrom's and Krieger's departure stemmed from disagreements over the direction of Instagram's product and ongoing organizational changes. The exit of the two founders echoes a similar circumstance with WhatsApp, the popular messaging app that Facebook also owns: Its founders, Jan Koum and Brian Acton, left Facebook in April 2018 after reportedly clashing with Facebook executives over privacy and encryption. In place of Koum, who was CEO of WhatsApp, Facebook installed Chris Daniels, a product executive and a seven-year veteran of Facebook, to lead WhatsApp. The leading candidate to take the reins at Instagram, according to The Information, is another Facebook veteran, Adam Mosseri, who serves currently as Instagram's VP of product. An announcement naming him could come as soon as this week. On Tuesday, Facebook shares were down slightly, falling 0.23% alongside the news. For the year, Facebook shares are down almost 7%. For Facebook, the stakes are high in setting a new direction for Instagram. As Facebook has grappled with criticism arising from the Cambridge Analytica scandal -- leading to a sagging stock after its July earnings report disclosed heavier spending on security -- Instagram has remained largely insulated. 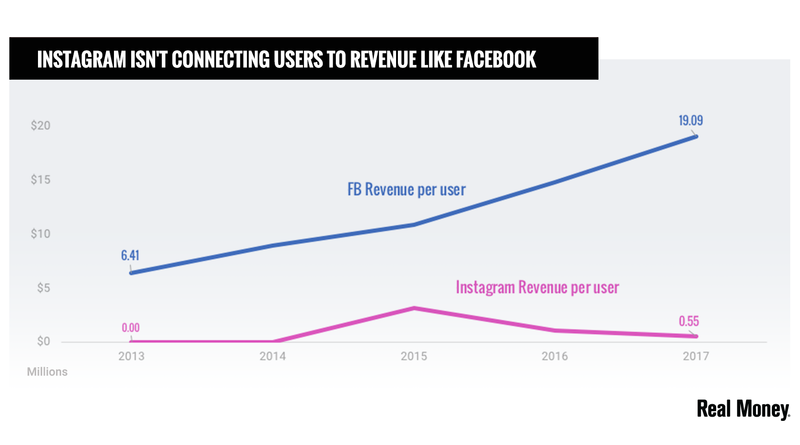 Although Facebook doesn't break out revenue numbers for Instagram, it is hugely popular with advertisers and a money-making powerhouse: eMarketer estimated its 2019 revenue at $10.9 billion. "One thing we can be sure of is that the goal will remain the same -- to continue to grow Instagram into the most engaging platform for brand marketers," noted Yuval Ben-Itzhak, CEO of social media marketing platform Socialbakers. "No matter who takes the reins, marketers will continue to spend on the platform because there is no comparable alternative that offers the same engagement and reach."